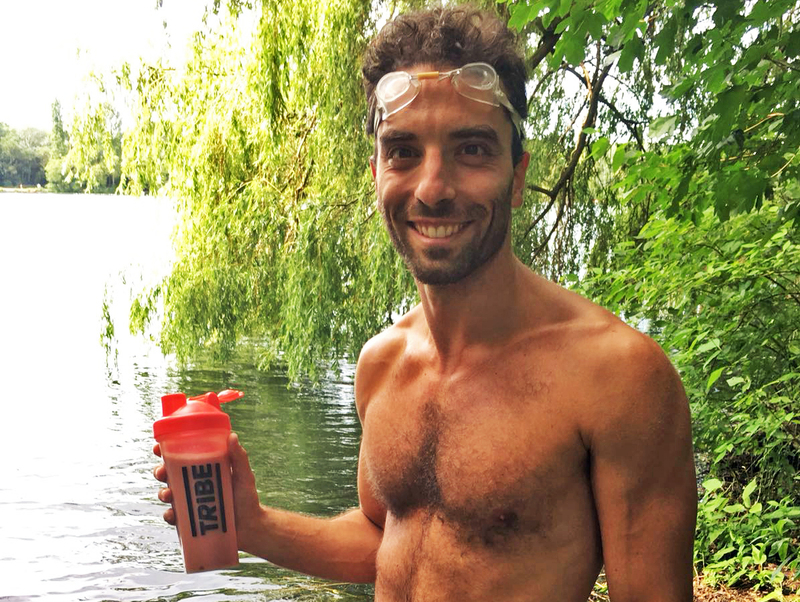 TRIBE Team Ambassador and swimmer Richard Bruschi shares his nutrition strategy for swimming training. Swimming is one of the very few “natural” sports, because technically you just need your body in the water. When I swim the weightless and silent moment right after the push from a flip-turn is one of my favourite in the pool. It’s a stark contrast from what comes before and what come after – a sprint set, technique drill, or else. In open-water swimming - completely different from pool swimming under every aspect - the mind clears from outside inputs such as city noise, people’s chatter, desk-job constraints. I’m with my own thoughts for quite some time – something I love. Swimming engages your whole body in the athletic movements and is a sport where endurance can be coupled with high-intensity work with stark contrast. Even more for this reason, nutrition is important in order to improve the performance. Also, my diet is very clean and I wouldn’t take anything that is not natural. TRIBE is spot on for this since it is 100% natural; it’s scientifically studied; offers variety; and it’s tasty! My swimming training sessions are anything between 50 minutes and 90 minutes. Before starting it’s important to have a fuelled body. Generally speaking the amount of energy you need is linked to your body weight and the type of workout. The TRIBE Infinity Bar is good for slow energy release so I have one or two depending on the length of the session. I love chocolate, so the Choc Salt Caramel one is often a choice for my mornings. Hydration is essential for any athlete, and swimmers are no exception. You can sweat while in water, and if you are training even more. Too many swimmers drink little (if not at all!) during training sessions. Sweating drains your body of components important for top efficiency performance. For this reason adding electrolytes to water is key. I always have my (reusable) 1L water bottle with me and TRIBE Hydrate - a balanced mix of the natural electrolytes your body needs to replenish. Lately I’ve been using the Tropical Fruits mix. Recovery doesn’t have the attention it deserves. An optimal recovery requires (a lot of, but not only) proteins consumed within 30 minutes from finishing swimming training. The general post-workout protein ratio to consume is 1.5grams per 1kg of body weight. I love the TRIBE Raspberry & Goji Berry Protein Shake. It just needs water! I drink it whilst stretching, to help my body recover so I can go again tomorrow!